RIO DE JANEIRO — FIFA ethics investigators confirmed Wednesday that they are formally investigating the indicted head of Brazilian soccer, just days after he met with FIFA President Gianni Infantino . 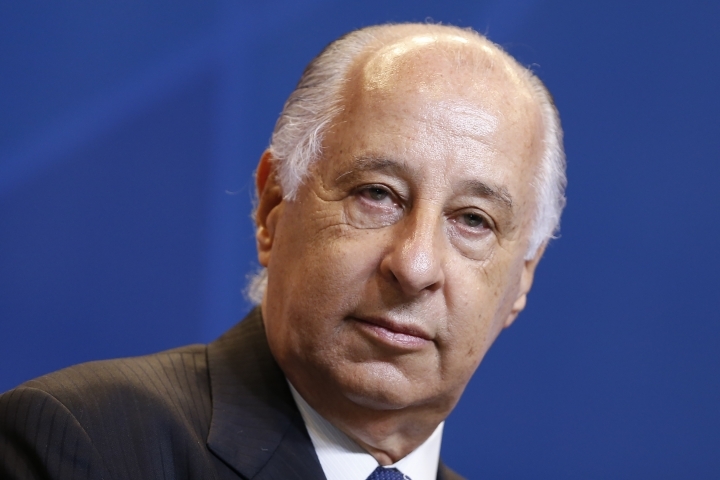 Marco Polo del Nero has remained president of the Brazilian Football Confederation despite being among the officials indicted last year as part of an American investigation into soccer corruption. Del Nero also remains free to hold positions of power in soccer, although FIFA's ethics division has now announced it has been investigating the former executive committee member since December. "We are able to confirm that there are formal proceedings going on against Marco Polo del Nero," the investigatory chamber of FIFA's ethics committee told The Associated Press. Del Nero is yet to face the racketeering and money laundering charges in New York along with the other suspects in the far-reaching U.S. investigation into soccer. Brazil has a long history of not extraditing its own citizens to other nations. Del Nero has avoided traveling outside Brazil since being indicted, so he has missed the FIFA presidential election in Zurich in February and Infantino's first congress in Mexico in May. But on a trip to the Olympics in Rio de Janeiro last week, Infantino was filmed alongside the accused official at the headquarters of Del Nero's CBF, an awkward image for a FIFA president pledging to clean up world soccer after the tarnished era of his predecessor, Sepp Blatter. "While in Brazil for the Olympic Games, I could not decline an invitation to participate in a meeting with representatives from the top Brazilian football clubs," Infantino said in a statement to the AP. "We did not talk about investigations or procedures within FIFA or any other entity." Del Nero initially took a three-month leave of absence from the CBF presidency after being indicted in December, but he resumed the job in April. Brazil's national senate is also conducting a corruption investigation against Del Nero led by former Brazil and Barcelona star Romario, who is now a national senator. Del Nero's predecessor Jose Maria Marin is under house arrest in New York after being extradited from Switzerland. Del Nero was in Zurich at the time of Marin's arrest in May 2015, but left the country almost immediately to return to Brazil and he has not been back since. Infantino did not respond to questions about whether he still has confidence in Del Nero to run soccer in Brazil, or whether the Brazilian should be handing himself over to U.S. authorities. 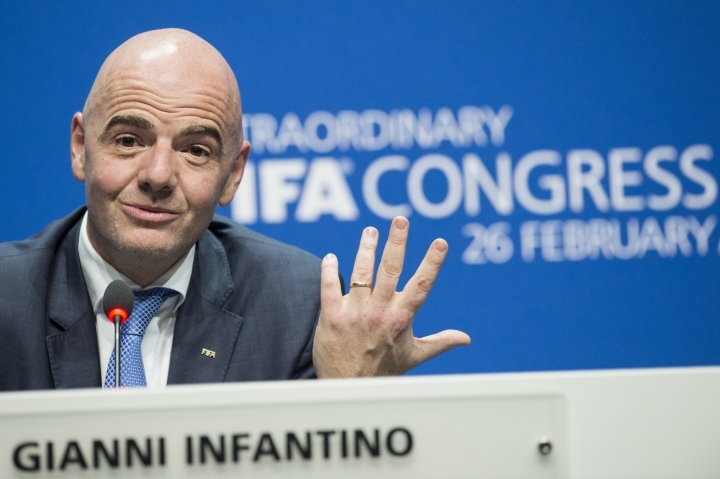 Infantino said he did not "evaluate the CBF's management model or its president" during the trip but said all federations should implement reforms to enhance "transparency and good governance." "What I do stand for when it comes to any country — including a big nation like Brazil — is modern and transparent management, focused on developing football at every level and with a high degree of rigor and seriousness," Infantino said. "This standard must be applied everywhere, and Brazil, as the five-time world champions that it is, must set an example for South America and the whole world." Infantino was informed while in Brazil that he would not face ethics charges for taking offers of private flights to visit Pope Francis at the Vatican, Vladimir Putin in Moscow and the Emir of Qatar.